The Only Love singer picked up best male solo and best breakthrough act trophies at last week's awards bash, and left some Twitter users confused. 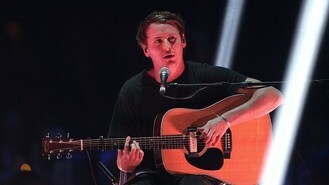 He told The Sun: "I got told that 'Who the f*** is Ben Howard?' was trending on Twitter. I like the idea of it. "I was never in music to make it to award shows." But Devon singer Ben admitted he might not be able to stay anonymous for long. "I hope the Brits hasn't ruined anything. I may have shot myself in the foot," he said. "I have a platinum-selling record but I can walk around fine."